Access permits to take dogs into the Table Mountain National Park have been required from the time of the first Environmental Program for Walking with Dogs in the TMNP which was launched in 2002. The permits were linked in with SANPARKS’ range of entrance cards issued by the Infinity company. These have been smart cards and relevant information such as access permits for various recreational activities could be loaded onto the card and read by means of a handheld machine. In October 2010 SANPARKS ended its relationship with Infinity and most of you will have been inconvenienced by the chaotic fallout as Park management battled with trying to recoup data. TMNP is now required by SANPARKS to have its own branded card for activity permits which are particular to this Park and these cards, which replace the former variety, do not function with a chip. They are styled “My Activity Permit” and as before carry different rates for different recreational activities. 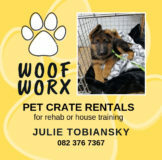 Dog Walking is rated at Level 1, the lowest rate, which is R135 per year per person. Other activities, such as para-gliding, mountain biking , horse riding, range from R210 to R280 pa. Rates are determined according to TMNP’s assessment of potential environmental impact. Applicants must bring 2 ID photos and ID book. A photo will be visible on the permit. 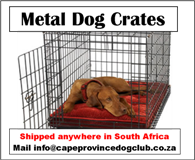 They may be sold to any park users who want to engage in the relevant activity, not only Cape Town residents, so if on holiday at the Cape and you bring your dog or are looking after some else’s dog you can buy a permit. As there is a photo on the card you will not be able to loan it but if lost you may get a replacement. The place to buy a card at present is at the TMNP office in Westlake. The Park’s office will be moved in bits and pieces to the Tokai Manor House before long and there will be more disruption. So it seems a good idea to get your card soon. Also, stated on the Park website that there will be an annual increase starting from 1 November 2011. Park management says they are negotiating to have other outlets. This did not work well before and probably will not work well again. FDW believe that a major justification for the permits to to require applicants to accept and buy into the Code of Conduct that is part of the EMP on receiving the permit. That will not happen at commercial outlets. Professional dog walkers are not considered to be engaging in a recreational activity and must apply for a commercial user’s licence. Even if you have more than one activity card you may not use them at the same time, for instance biking or riding with doga is ruled out. So long as you are going into the Park to walk your dog, or someone else’s, you can go through the pay gate at Silvermine for free with your dog permit. If you go in without the pooch, you must pay at the entrance or buy a National Wild Card or a My Green Card (Cape) to get in. This is because activity permits have been separated out from the chip cards and are no longer loaded onto these cards. As before the cards are valid for one walker to be accompanied by up to two dogs. If you have more dogs you may apply for a special permit which will not be automatically given. There are some who would like the permits to be attached to individual dogs rather than handlers. FDW committee debated long on this some years ago but we take the view that it is the handler who must take responsibility for the dog’s behaviour and commit to the code of conduct as a condition of the permit. Besides, were that method to be adopted, in the event of losing one dog you would then need to get another permit for a new dog and there would be complaints from people that their poodle costs as much as some one else’s rotweiler. Some of us of FDW have had long discussions with TMNP personnel about the new prices that are bound to upset some park users. But you may feel that after so many years the raise is not unreasonable and the funds go towards this park and not to SANPARKS as happens with the national wild cards. We pointed out that the greatest burden falls on couples and families who may walk the family dog individually and currently would each require to buy their own card. TMNP has agreed to work on discounted rates for couples, families and pensioners and they need to do this forthwith. We also raised the unfairness for residents of Scarborough and Noordhoek who only take their dogs to their local beach and not ever to Silvermine but are still required to buy an activity card. Park managers have agreed to engage with those local ratepayers’ associations to negotiate a special rate for these local people. In practice, I have yet to hear of any dog walker being asked to show a permit in any area of the park other than Silvermine and certainly not in the Northern Section though officially these rules and prices obtain throughout the dog-walking areas of the Park. The City’s Animal Bylaw was recently and finally promulgated. Though it is not applicable in the TMNP please be aware that all dogs living in greater Cape Town are required to be microchipped. This system works really well and you can pay for life membership instead of annually. TMNP have contracted out to BlueGreen Planning – Derek Chittenden, to create a concept plan for the Tokai Manor Precinct which is under Park management. The Park office will move into the Manor house and surrounding outhouses. FDW are involved in the project process because we have applied for dog walkers to be given access to the Tokai Arboretum. The program was launched at a stakeholders’ meeting where we had the opportunity to present our case. Phase 2 will include an open day after the Christmas break with a 2-week public comment period. I will be advising you of the dates and please dog owners send in your support to have dogs back in the cool shade of the Arboretum. The process is scheduled for completion in March 2012.